Ali Bahmani contacted me a couple of days ago and yesterday sent me some of his diagrams. Amazing work! I decided to fold his Sakura Star. 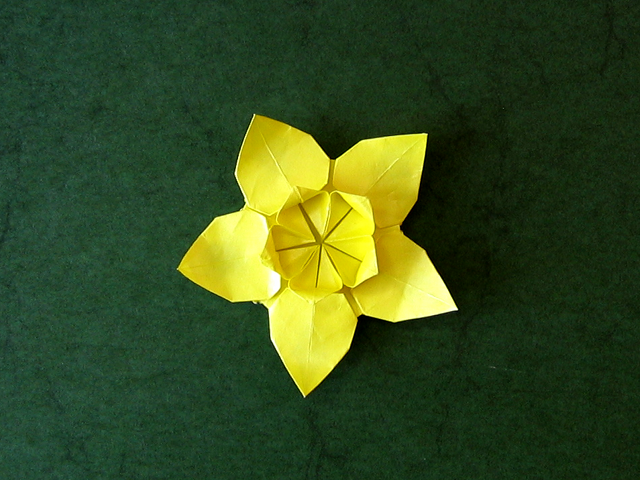 I initially wanted to replicate one of his suggested variations, but while folding saw a daffodil in there. So I decided to tickle it out a little more by shaping the petals a bit more like those of a daffodil.